Established in 1905, Burnham Holdings is the parent company of manufacturers of boilers and related HVAC products and accessories. One of its subsidiaries, Burnham Commercial, has been involved in a number of lawsuits stemming from its asbestos-containing products. Burnham Commercial originated in the mid-1880s when Frederick A. Lord founded a New York-based greenhouse manufacturer, then named Lord’s Horticultural Manufacturing Company. In 1872, Lord’s son-in-law, William Burnham, joined the company, creating memorable greenhouses for large estates in upstate New York. Shortly after, the greenhouse industry was in need of a solution to provide adjustable and evenly distributed heat to large areas. The company manufactured its first cast iron boiler intended to keep its greenhouses heated. Lord’s Horticultural Manufacturing Company later became known as the Lord & Burnham Company. In 1905, the Lord & Burnham Company merged with the Hitchings Company, which specialized in manufacturing heating systems and ventilating apparatus’ for greenhouses, and the Pierson-Sefton Company to form the Burnham-Pierson-Sefton Corporation. Following growth and acquisitions, the Burnham Boiler Company was established in 1919 and took over the boiler business from Lord & Burnham Company and its affiliated companies. The company was renamed Burnham Corporation and is currently referred to as Burnham Commercial or Burnham LLC. Today, headquartered in Lancaster, Pennsylvania, Burnham Commercial continues to produce steam and hot water boilers for commercial and industrial applications. For many years, asbestos was used in components of Burnham’s boilers, including insulation, fire-retardant bricks and gaskets. Adding asbestos to the components made them more durable and resistant to heat and fire. Unfortunately, it also made them deadly. Anyone who worked with Burnham Commercial’s boilers until the 1980s could be at risk of developing an asbestos-related disease such as mesothelioma. Exposed to Asbestos at Burnham Holdings? Asbestos-related personal injury claims have been filed by individuals that were exposed to asbestos from Burnham Holdings products, more specifically, products from its Burnham Commercial facilities. Unlike many companies that manufactured asbestos-containing products, Burnham Commercial has not created a bankruptcy trust for asbestos claims. Instead, the company has decided to continue to defend itself in court. Burnham Commercial has been asked to pay millions of dollars in asbestos claims. Because of the long latency period of asbestos-related conditions — 20 to 50 years — the company should expect more lawsuits in the future as more asbestos-related conditions are diagnosed and tried in the court of law. According to Burnham Holdings’ 2016 financial results, charges for uninsured litigation were $30,000 and expenses for legal counsel, consultants and other costs to defend asbestos claims for the year was $105,000. In the 2016 annual report, the company said it believes the vast majority of future asbestos claims should be resolved with within existing insurance limits and reserves — whether it be through trial verdicts or out-of-court settlements. However, Burnham Holdings officials did note that asbestos litigation entails many uncertainties and the company cannot predict the extent to which new claims will be filed or the financial impact it may have on the business. In July 2013, a New York jury awarded $190 million in an asbestos-related lawsuit involving Burnham Commercial. Five plaintiffs were exposed to asbestos while working in the plumbing, steamfitting and construction industries and as a result, developed mesothelioma. One plaintiff handled and demolished boilers with asbestos-containing components throughout his career. Another plaintiff, a steamfitter, handled boilers laden with asbestos-containing products. A third plaintiff, a pipefitter, worked at New York’s Brooklyn Navy Yard from 1951 and 1966 and was exposed while handling pipes of distillers that processed saltwater. The other two plaintiffs were plumbers who handled boilers and pipes covered in asbestos. Burnham Commercial’s monetary obligations for the five lawsuits totaled $42.2 million, or 21.2 percent of the total damages awarded. However, the company filed post-trial motions and appeals seeking to reduce or overturn the verdicts. On February 9, 2015, New York Supreme Court Judge Joan Madden ruled that all five damage awards “deviate from reasonable compensation,” and significantly reduced Burnham Commercial’s liability to less than $7 million. A separate lawsuit, filed in 2014, brought a $6 million verdict against the company, but that too was later reduced by an appeals court to less than $2 million. The plaintiff in that case, Charles Hillyer, allegedly developed mesothelioma from asbestos exposure while working as a steamfitter from 1960 to 1983. Hillyer testified he had been exposed from insulation ripped off boilers, including those made by Burnham Commercial. He was diagnosed with mesothelioma in March 2013 and died in September 2014. Hillyer’s family took over the lawsuit after his death. In Hillyer’s case, New York judge Cynthia Kern ruled the $20 million award for past pain and suffering against Burnham and several other boiler manufacturers “deviates materially from what would be reasonable.” The total award was reduced to $6 million, with Burnham’s liability reduced to $2 million. Until the late 1970s, boilers contained a number of asbestos-containing products, including insulation around the boiler’s walls, tube banks and internal pipes, gaskets, bearings to paste lagging or even raw asbestos. In addition to boilers and boiler insulation, Burnham Commercial manufactured and produced a number of asbestos-containing products, including fire-retardant bricks, gaskets and pipe insulation. Burnham Holdings and its subsidiaries continue to produce a wide range of heating applications, although asbestos is no longer added to components. The company’s products are sold in the U.S., Canada and Mexico and are used throughout schools, government buildings, places of worship and historical sites. Burnham Holdings, Inc. (2017, February 16). 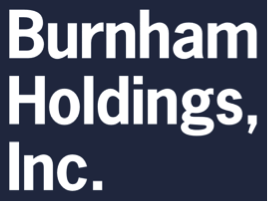 Burnham Holdings, Inc. Announces Year 2016 Financial Results. Sundar, S. (2015, May 19). Boiler Maker Could See $20M Asbestos Verdict Cut To $6M. Agency for Toxic Substances & Disease Registry. (2016, January 29). Asbestos Toxicity Where Is Asbestos Found? Burnham Holdings. (n.d.). Company Profile. Burnham Commercial. (n.d.). About Burnham Commercial. Burnham Holdings. (2012). Burnham Holdings: 2012 Annual Report.